Nicky Chang Bi is a Ph.D. candidate in the School of Media and Communication at Bowling Green State University, U.S.A. 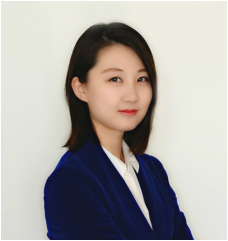 Her research interests are Public Relations, Strategic Communication, Social Media, and Health Communication. She teaches Strategic Communication, Social Media, Public Speaking courses. She worked as a marketing coordinator and an assistant marketing manager for two companies, respectively. Her main responsibilities were holding and supporting public relations campaigns, and brand promotion.